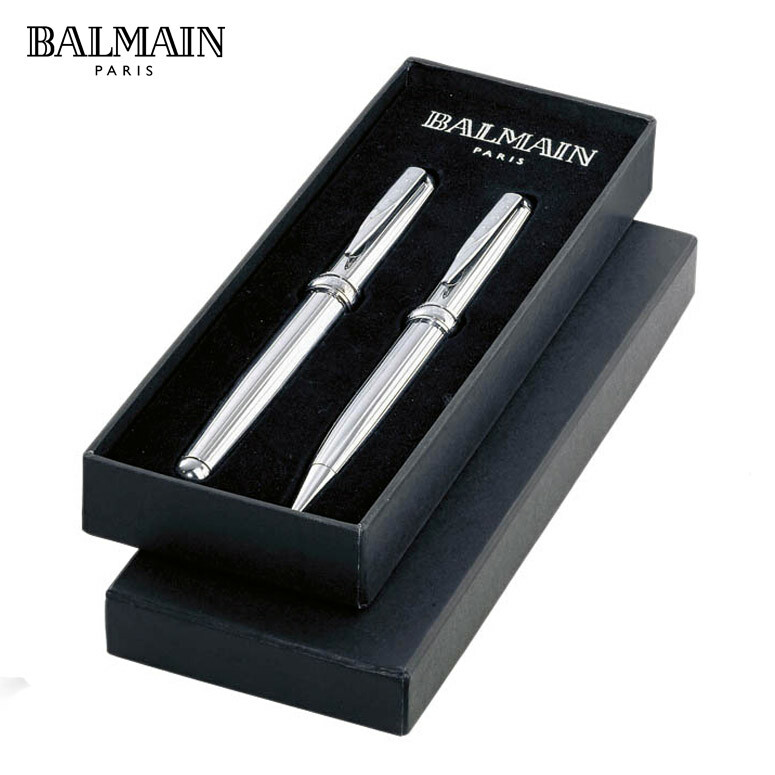 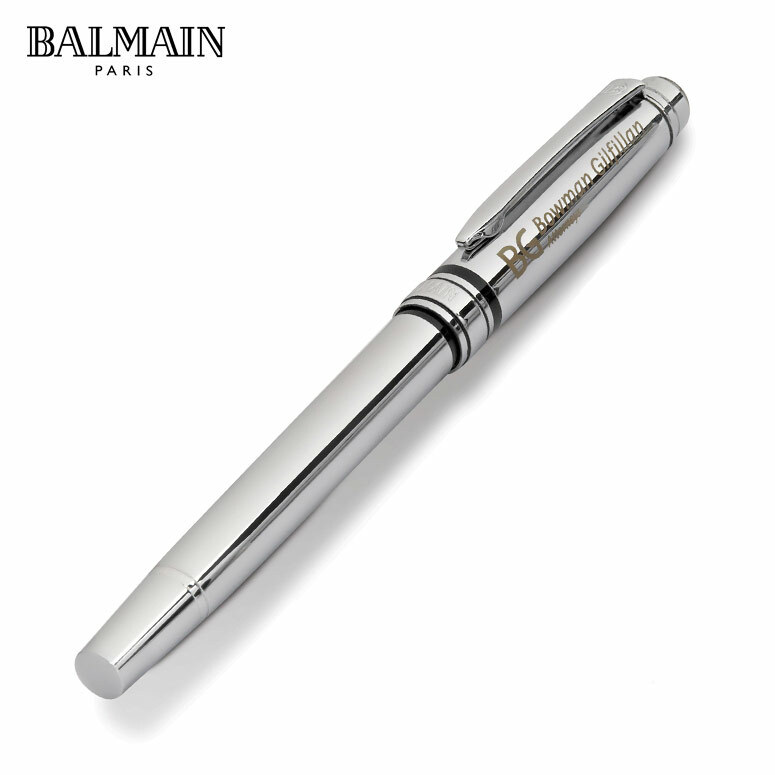 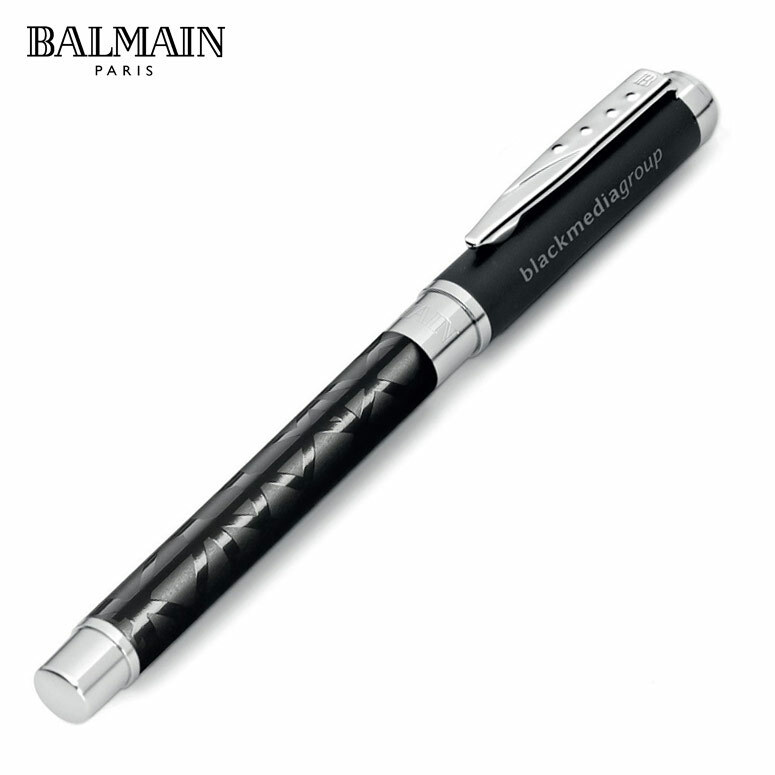 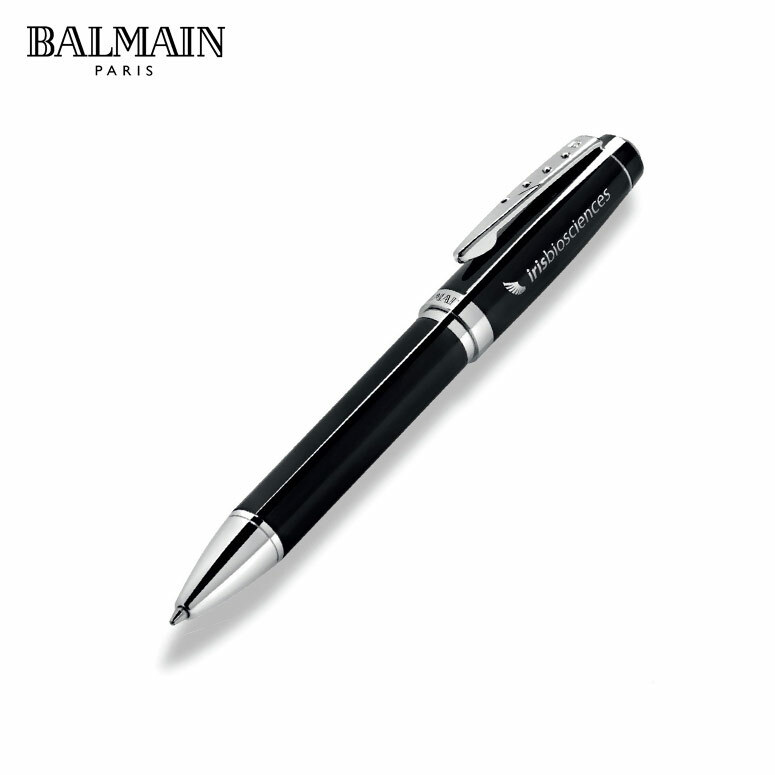 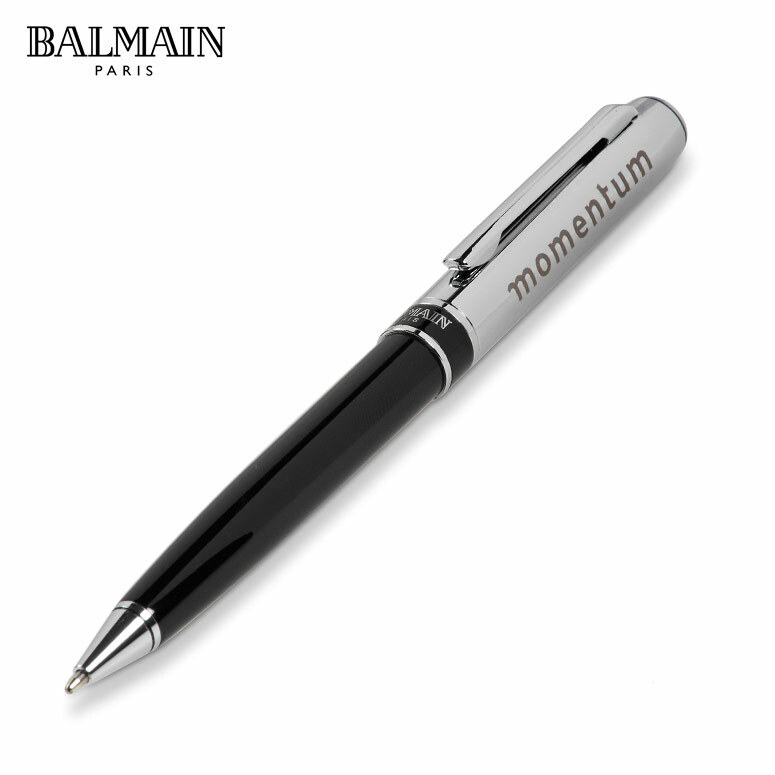 A Balmain Pen Set makes an excellent corporate gift for executives. The Balmain Concorde ballpoint pen and roller ball pen set is a lovely, bright polished chrome pen set. 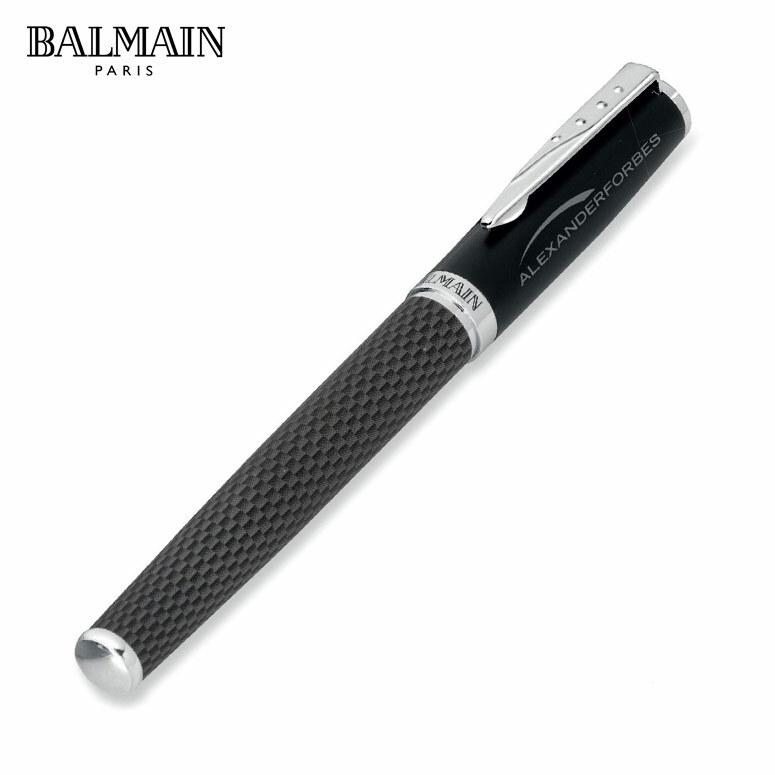 These pens have a fine pin stripe design down the barrels, with an open section for engraving at the top. 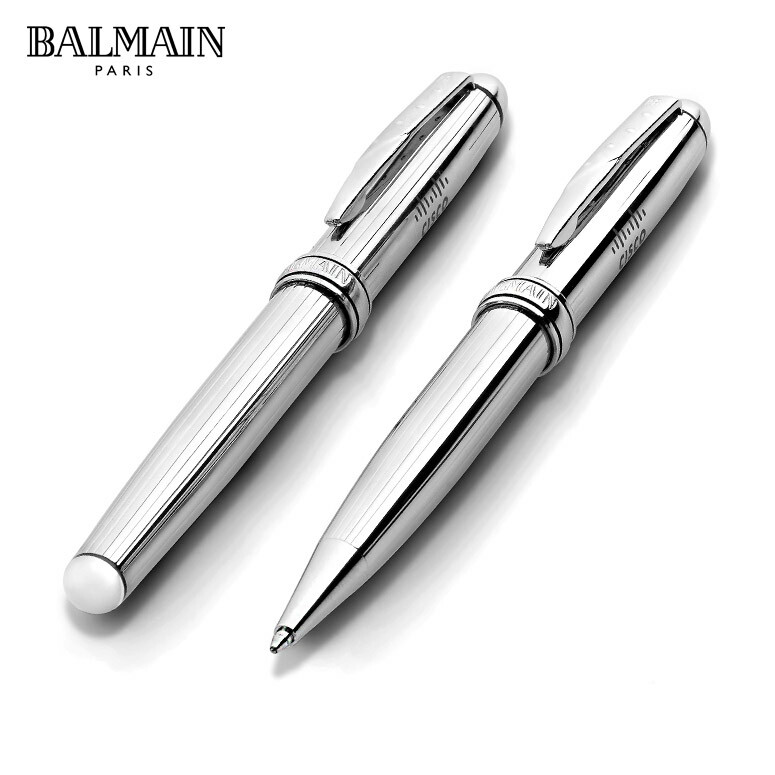 Both pens are great quality heavy weight metal pens. 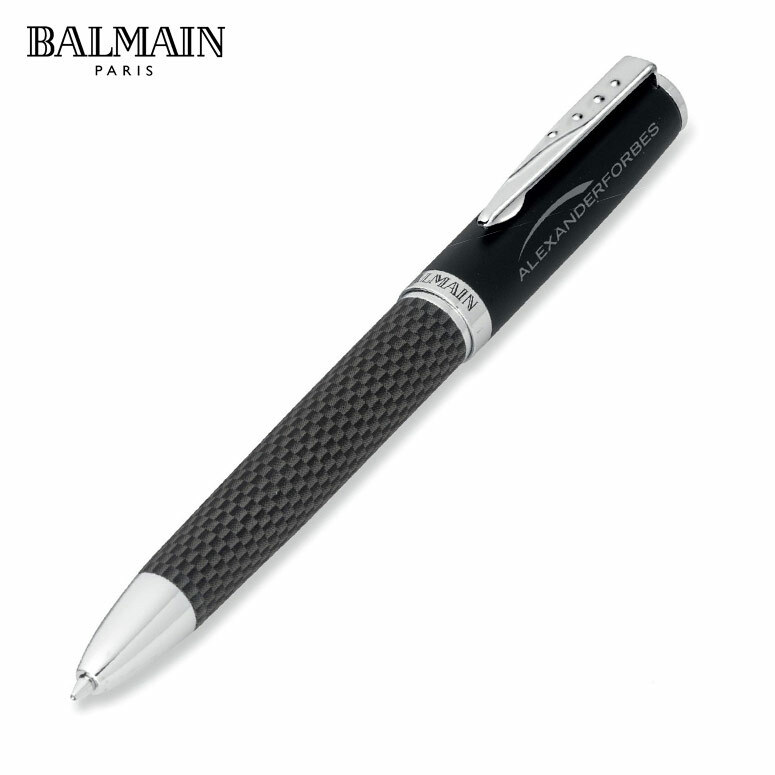 We supply Balmain pens as corporate gifts in Cape Town. 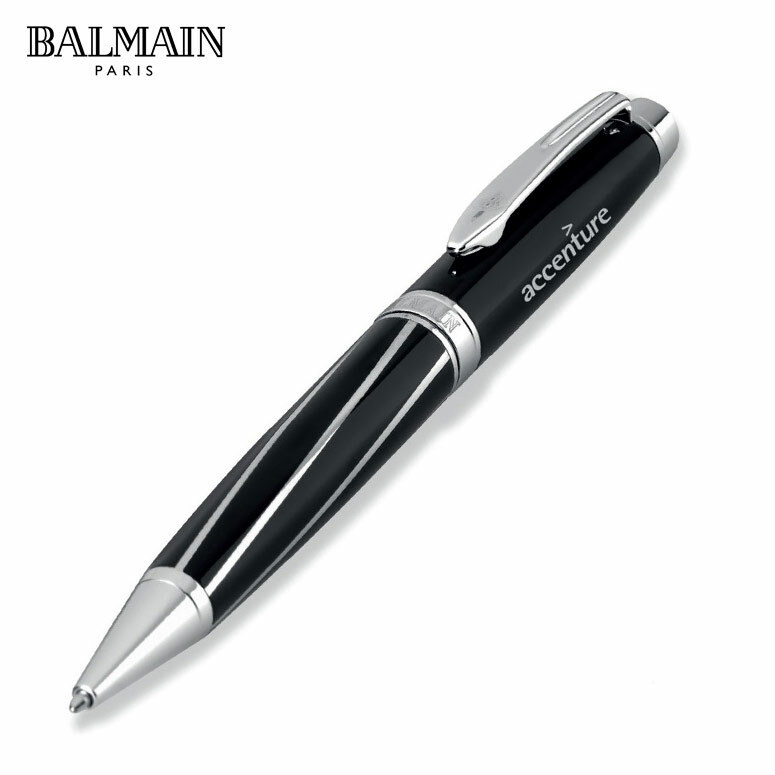 This gift set can be branded with an engraved company logo on both pens.